We know how most of us would do crazy things all for the love of beauty and fashion. With society dictating that what’s beautiful is whatever it is you are not, it’s no wonder that petite girls despair over not being tall enough, flat-chested ones (and even those that are not) opt to get breast augmentation, plus-sized women scramble around to find the perfect diet or at least clothes that make you look thinner, and the rest of us choose to go through even the most painful of beauty routines, from waxing to wearing ridiculously high heels. The problem though is that in some cases, beauty practices are not only painful or ridiculous, but are downright unhealthy. The most practical of men may wonder why they need to shop for cufflinks when finding dress shirts with buttoned cuffs is far easier not only to find, but also to put on. Then there’s the matter of cost. While the price of the dress shirts is not solely determined by whether they sport French cuffs (two holes with no buttons) or buttons of the cuffs, you can bet that you won’t find French cuffed shirts in the cheap range. Of course, there’s the small (or not so small) amount you’ll have to add for the cufflinks. The truth is that with buttons around, cufflinks are indeed not the most practical of fashion choices. However, we all know that fashion is NOT about practicality. Why do we women wear heels when flats are more comfortable? Why do you choose one accessory over another? When it comes to fashion, although we do bless the hearts of great designers who manage to merge function with fashion, what’s usually more important is how things make us look and feel. So if you ask why men should wear cufflinks? Then the answer is because they want to! Besides, cufflinks are really making a comeback in fashion, with these tiny accessories being the accessory of choice if you want a more formal look. Opting to wear French cuffed shirts and putting on matching cufflinks is equivalent to stowing away your sports watch and going for a more classy one for your evening look. Of course, you will find novelty cufflinks that definitely does not shout formal or classy, but if you want to look like you’re a teenager screaming for attention or you’re not going to a fun themed party, then it’s better to rely on more traditional looking cufflinks. When it comes to choosing cufflinks, don’t think that just because you have a nice plain sturdy titanium cufflink means that you should wear that as your go to cufflink all the time. Remember, wearing cufflinks is a fashion statement, so better not commit a fashion faux pas while you’re at it. 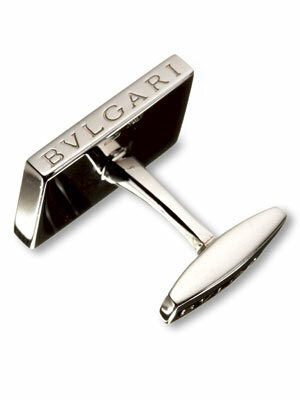 Make sure that your cufflink goes with other metal accessories you wear such as your belt buckle. If you’re wearing a gold buckle then put on gold cufflinks or silver cufflinks if you have a silver buckle on. Opt for designer cufflinks if you want to impress. For trendier cufflinks, make sure that the color matches or complements your dress shirt and tie although you should remember that no matter how nice your cufflinks may be, they’ll never compensate for a bad tie. The Australian Fashion Week has officially started and all we can say is that the first show sure opened with a huge bang, or pop to be more accurate. The show that designers Anna Plunkett and Luke Sales put together for Romance Was Born had Marvel stamped all over it, opening with the coolest pop-up backdrop that set the entire tone of the show. This is not surprising since the show was done in partnership with Marvel, which might be confusing as the company has nothing to do with fashion, except perhaps for the great looking costumes their superheroes and villains wear. The Romance Was Born collection features a lot of clashing prints reminiscent of novel graphics’ stylistic art. The prints came both in black and white and huge color pops, with the genius of the print choices being in that the clashing prints somehow came together. Gail Sorronda. Gail Sorronda seeked to set her show apart by opting not to go with a runway show and doing an installation instead with guests able to cozy up close to her models standing on small white platforms with a short movie playing at the background. It’s safe to say that this change got more attention than her actual collection. Kirrily Johnston, on the other hand, did a really nice runway show with no prints in sight but showcasing lots of simple dresses that were cut to perfection. Of course, the nun-themed dresses drew the eyes. We can be sure that there’ll be more stellar shows as the week goes on. Whose show will be the showstopper this Fashion Week is something we’ll just have to wait for. Fashion for me is always a bright spot that can make me feel a tad bit (or a lot) better even on the gloomiest of days. Well it seems that gloomy is just the right word to describe the atmosphere in Moscow these days as attested not only by what we see on the headlines, but even in what otherwise flamboyant designers decided to put out for this week’s Fashion Week. The Russian Fashion Week, which we can usually count on to bring exciting and colourful designs instead reflected the mood in Moscow with Autumn/Winter 2012/2013 collections featured by the best designers in the country all echoing a sombre, even austere feel. Dark and drab colors dominated the runway with blacks, grays, browns, all partnered with the ever neutral white and pale pops of color seen in most designers’ lines. This left color palette complemented simple lines and classic skirts, trousers, and jackets. Although some pieces did pop out with their interesting silhouettes, the colour and the lack of accessories on the models, as well as their pale make up made for an overall severe look. This is not to say that the creations seen in Russian Fashion Week were boring, contrary to that. In fact, had not the designers’ inspiration been rooted on the troubled political waters of the country, I would have called the collections refreshing. Instead, it would be more apt to call their collections relevant. And who said that relevant means boring? 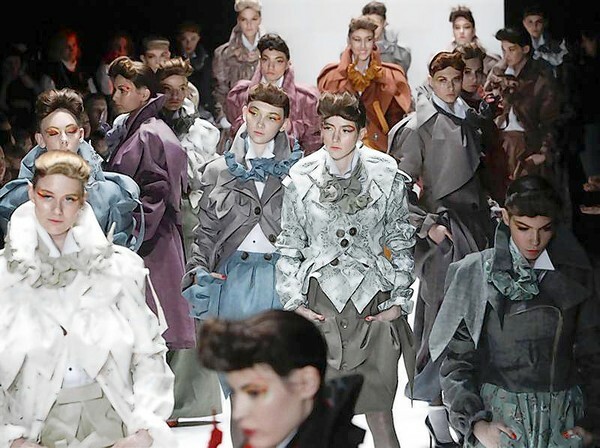 The Russian Fashion Week collections are proof that relevant can still be visually riveting.